Former Forum for Democratic Change president Maj. Gen. Gregory Mugisha Muntu has officially declared his interest to stand for presidency in 2021 to face other potential candidates like Yoweri Kaguta Museveni, Bobi wine and Kizza Besigye. 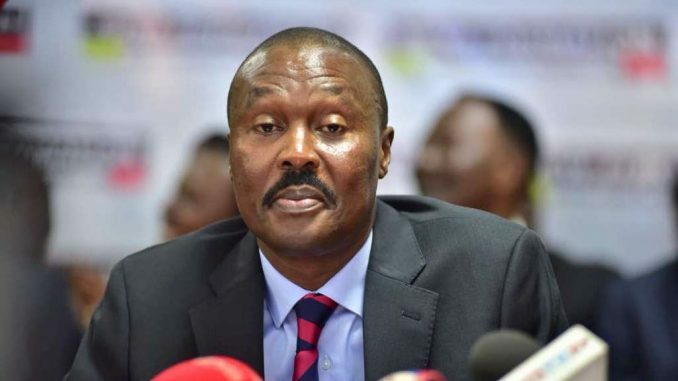 Even though Mugisha Muntu hasn’t officially launched his new party ‘the New Formation party’, which recently obtained Members of parliament from different parties, the former FDC Party president has revealed that he now feels relieved after quitting FDC. He also disclosed that he has ambitions for the top office in land come 2021. “I have ambitions for standing in 2021. We cannot just focus on 2021 however, we want to build the party first, brand ourselves to attract people, build capabilities and after that is done we shall look at the elections,” Muntu revealed. Mugisha Muntu also revealed that his camp is facing financial challenges with not sufficient funds but hopes it will be sorted after the launch of this party in December as he promised earlier on his departure from FDC. Muntu also revealed his plans to work with Bobi wine’s People power, Democratic Party and JEEMA in order to defeat president Museveni of the NRM ruling party in the next general election.